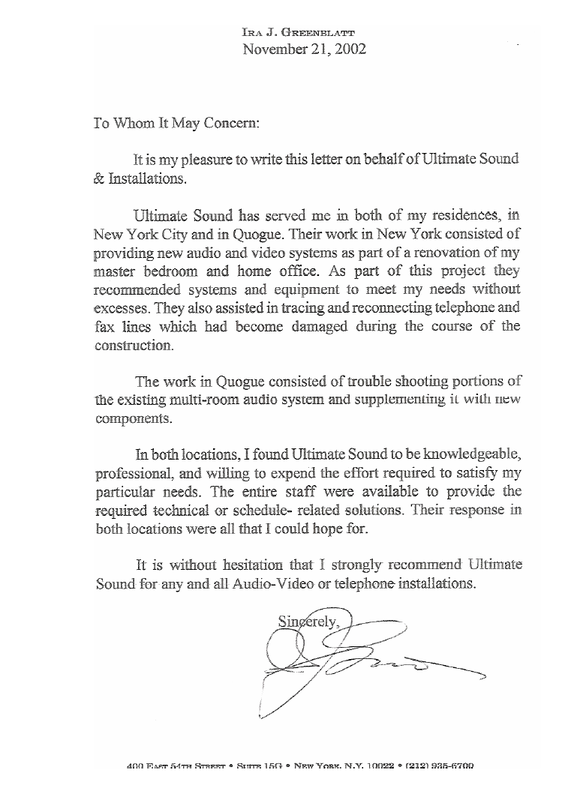 We are very proud of our reputation at Ultimate Sound & Installations. Over the years, we have had the distinct privilege to include as satisfied customers an esteemed list from Business, Entertainment and Political circles. Our track record places USI among the best audio visual companies New York has to offer. 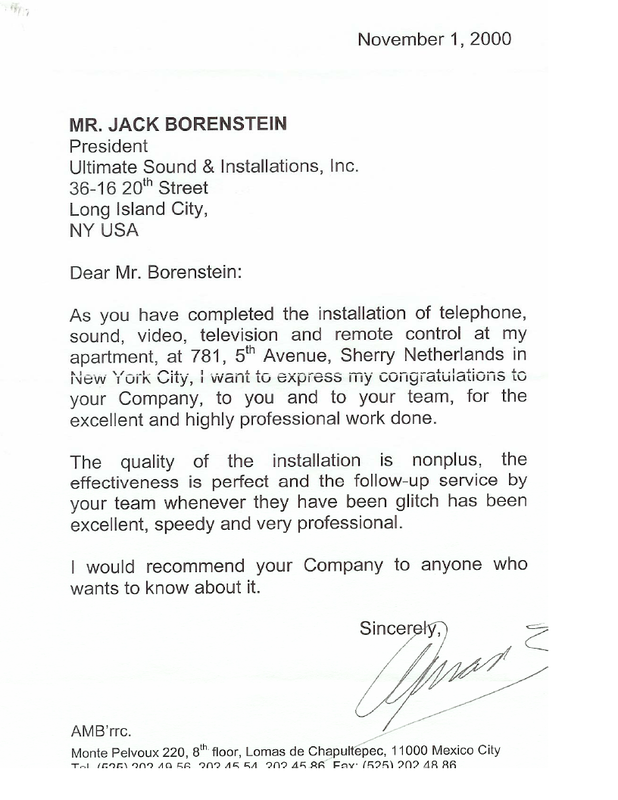 This is to highly recommend Jack Borenstein and Ultimate Sound & Installations. His technicians are not only highly competent, they are courteous, and reliable; they show up on time. Jack made a promise that if anything were to go wrong, even on a weekend, help was just a phone call away. I can’t begin to tell you how dumb my wife and I are with gadgets; so even though I had all the instructions before me, there have been times when I simply wanted to scream and throw shoes at the damn system. Instead, a phone call later, and it was all ok. Recently there was a problem that had to be solved with a visit, and it was solved it in about five minutes; that afternoon there was a follow up phone call, checking to see if we were satisfied. I can’t say enough about my experience with this organization; and I should add that I have not received any kind of payment or gifts for this testimonial. It’s just so damn rare to run across people who actually deliver on their promises. Ultimate Sound has provided me with extraordinary equipment and technical expertise. The level of service that I have experienced is first rate. I enjoy doing business with Ultimate Sound and would highly recommend their services to my friends and colleagues. Many thanks once again for all your efforts with the Park Suite project. 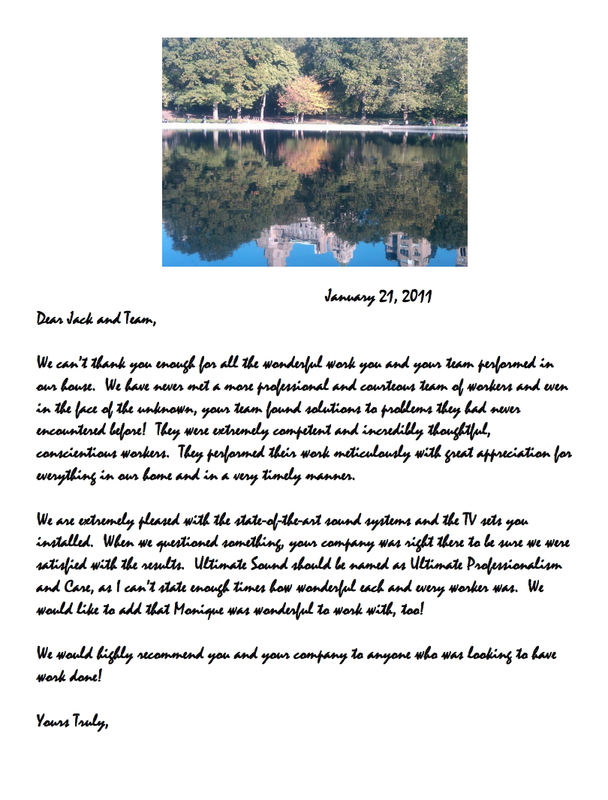 Our clients are delighted with apartment in general – and especially with all the magic you provided…your expertise in the latest technologies gave our client tremendous confidence as he made his decisions in the quagmire of rapidly changing and conflicting information…We appreciated that Ultimate Sound always showed up when scheduled and completed – reliably and efficiently – what was required to meet our client's demanding schedule. We look forward to working with you again. Gracias! Merci! Danke Schoen! Thank you! In any language, my appereciation is genuine. You and your fine staff took on a complete fiasco and turned it around to a very wonderful and memorable experience. Gracias! Merci! Danke Schoen! Thank you! In any language, my appreciation is genuine. You and your fine staff took on a complete fiasco and turned it around to a very wonderful and memorable experience. My wife Bobby and I suffered and endured a horrible experience with the first installation of our T.V. and sound system. The people from whom we purchased the T.V. and sound system were completely inept. After almost a month of trying to correct their blunders, they finally agreed to take back all their equipment. Special thanks to William Sanchez and Andrew Spentzas for giving us a great installation which made up for the terrible experience we had to endure with the previous company. Finally Jack, I want to thank you for your expert advice and guidance in helping us to select all the components and operating systems for our apartment. Fortunately for us we took the advice and recommendation of One Source Building Technologies, here at the residences of the Mandarin Oriental Hotel who had on(y good words for you and your company. We would be happy to recommend you and your company any time. I did want to thank you once again for all your efforts with our project. We are delighted with the apartment and the system. 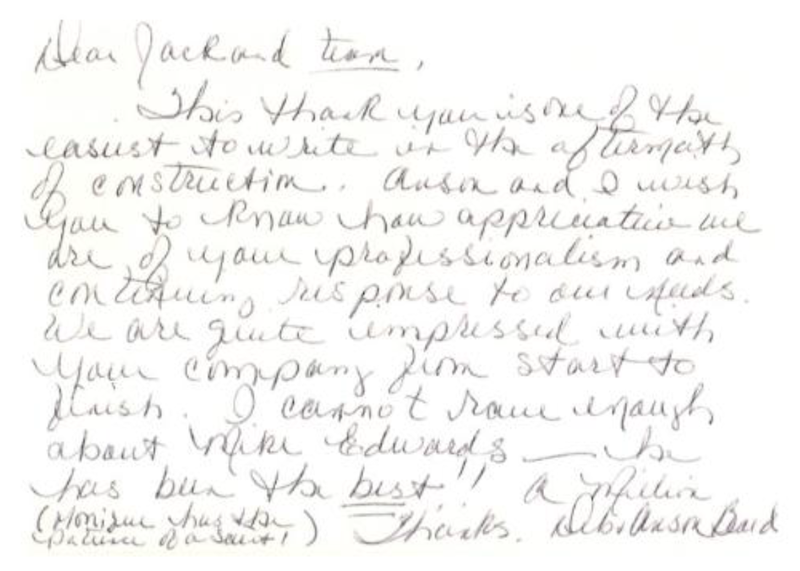 The professionalism and expertise you and your team put forth was tremendous. The insight you provided into the latest technologies made us confident in making decisions quickly and efficiently, and your can-do approach, willingness to work with our budget and ability to customize the solution for us by integrating the multiple video products we had, including TIVO, Apple TV, BlueRay and our cable DVR, was fantastic. We never once heard "No" throughout the entire process. Further, the team's commitment to deadlines and appointments was exemplary. Everyone on the team was flexible and reliably showed up when scheduled, completing our project within our demanding timeline and handling everything, from double checking with the contractors during installation, to ensuring that things were functioning properly, to the continued follow-up after things were complete. The team even managed the time consuming and dreaded process of working with our cable provider; handling meetings and communications multiple times which was invaluable. Most importantly, the focus you had beyond the technology and on the details of the aesthetic was tremendous, and only adds to our willingness to recommend Ultimate Sound to others. 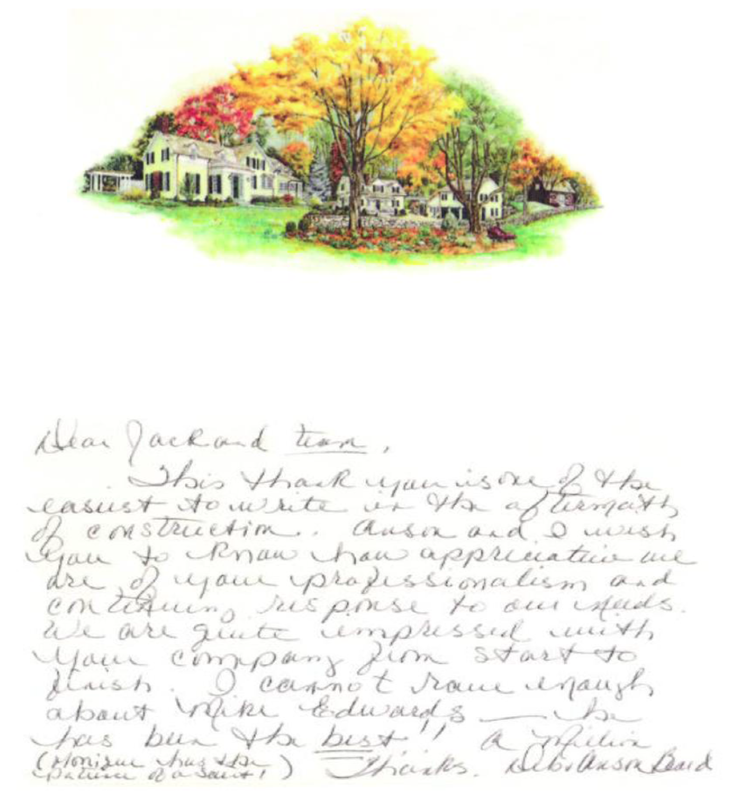 Thanks again, and we look forward to continuing to work with you. I recommend the services of Ultimate Sound. Ultimate Sound made the process convenient by purchasing, installing and testing all of the equipment for the system they designed. Their service level was solid. 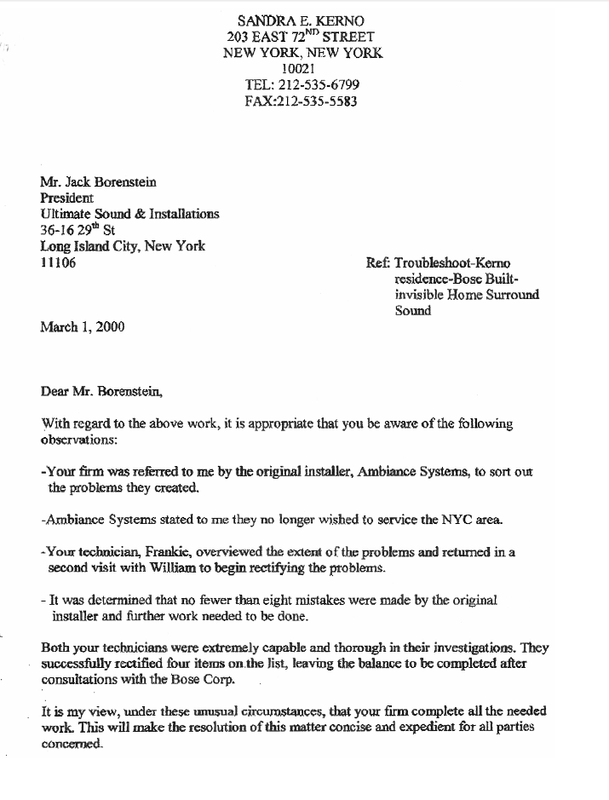 Jack and/or an associate made themselves available to address the challenges which arose. All systems are working well, and we're pleased with final product.